JG Chapman: Lara the new Dog! 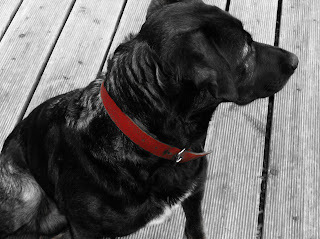 Lara is Wolfgang and Britta's Dog. She lives outside for the most part and barks at people driving by. We take her on walks as well because she behaves pretty good.